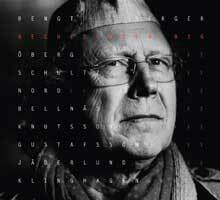 The quintet from Bengt Berger's much praised last album Beches Brew has grown to nine members in this live recording from two nights in Stockholm and Gothenburg, likewise the music has grown in depth, power and expression. The mix of tradition and new modes of expression as well as the impulses from some of the great traditions of the world and the collective approach to ensembles and solo work shows a strong relationship to Charles Mingus way of making music. Some of the best and most personal musicians in Sweden are necessary for this: Violinist Livet Nord; saxophonists Thomas Gustafsson, Jonas Knutsson and Sir Thomas Jaderlund; Keyboard genius Mats Oberg; G�ran Klinghagen and Max Schultz on banjos and guitars; Stefan Bellnas, bass and Bengt Berger on drums.